Storymaking .com — Unleash the power of story within you. An Important Source of New Knowledge about Story, Story Structure, Creative Writing, Screenwriting, Novel Writing, the Creative Process and Storytelling. Do You Want To Achieve A-List Status With Your Stories, Novels and Films, Experience a Meaningful Self-Expression, and Create Powerful Stories That Sell? Through an understanding of story, you will master the craft of the screenplay or the novel and achieve the success you long for. Whether you are a professional or beginning writer or filmmaker, we can guide you to a deeper understanding of the fundamentals of story and storymaking. This state-of-the-art story knowledge will take you beyond Classical Story Structure, Three Acts, The Hero’s Journey, Conflict and Turning Points- important, but small parts of a larger picture- to a revolutionary new story model that can give you the tools you need to become a master of the art form — and do it every time. Everything we do is designed to help you establish and advance your story or filmmaking career. “James Bonnet’s Stealing Fire from the Gods Workshop/Retreat is a must for every creative writer–especially in the screenplay domain. Even for experienced authors and creative thinkers, James has a unique way of revealing the skeletal structure of the story you wish to write, and even more, revealing the essential lineaments of what Joseph Campbell called “The Monomyth” the essential archetypal story of human struggle and fulfillment that can be understood by any child or adult, and from whatever culture. James Bonnet’s commitment to the same underlying principles of creative visioning and writing has matured and developed for over for thirty years–which marks him as a master. Or if you prefer, think of him as a Promethean wizard whose fire-theft has been so successful, it can boil any number of cauldrons of inspiration, including your own. 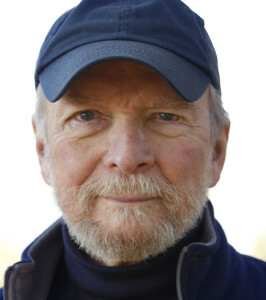 Stephen Larsen, Ph.D., Professor Emeritus, SUNY, and author of A Fire in the Mind, The Life of Joseph Campbell, and the recent award-winning: The Fundamentalist Mind: How Polarized Thinking Imperils Us All.